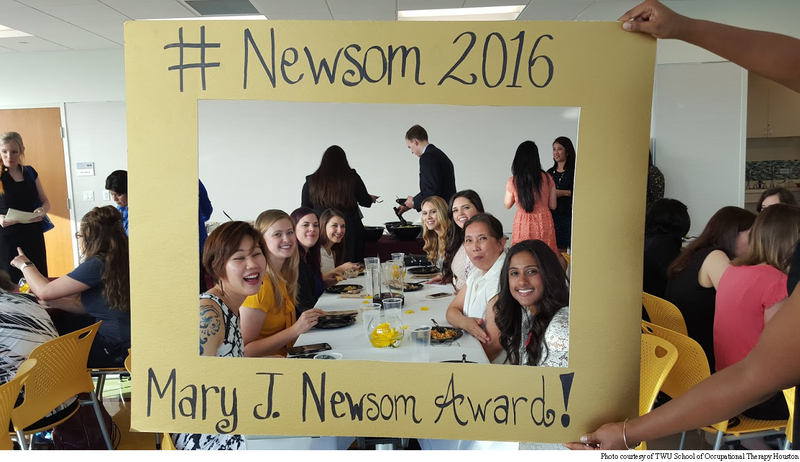 Last Wednesday, the Houston campus played host to the annual Mary Joyce Newsom Award ceremony. Newsom was a highly respected occupational therapist who earned her Bachelor’s of Science and Master’s of Arts at TWU. The award is meant to honor students who have set themselves apart not only in occupational therapy but also in enriching their personal lives. 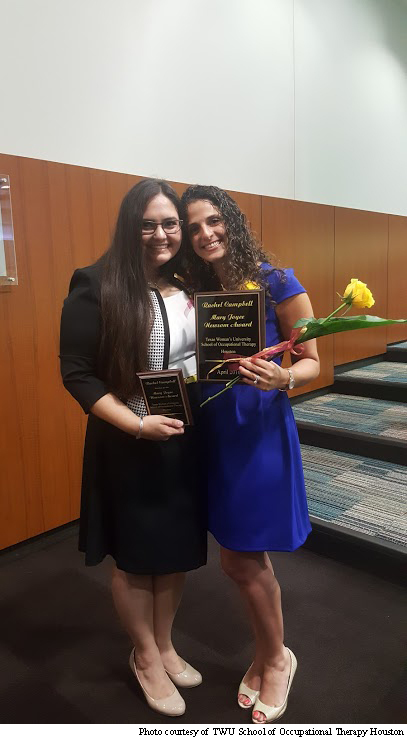 2015 recipient Adele Brunson spoke at the event, and Rachel Campbell was selected as the 2016 recipient. 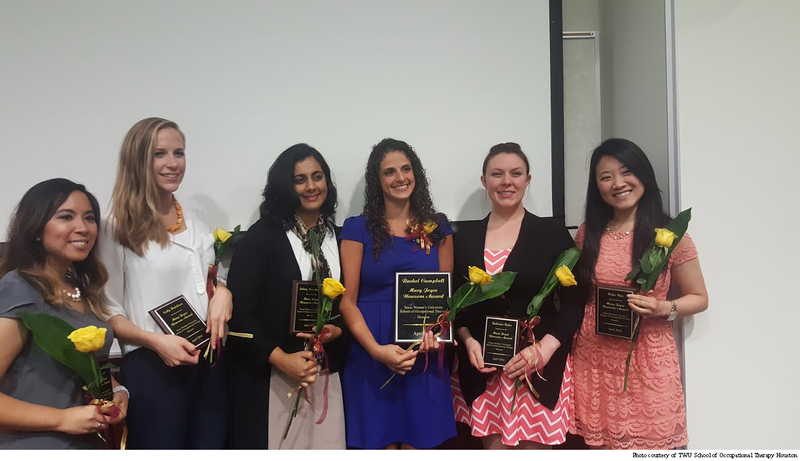 Other 2016 nominees included Annalisa Pablo, Colby Hutchinson, Salma Hooshmand, Katherine Hahn and Helen Wan. A light dinner was served and a good time had by all. 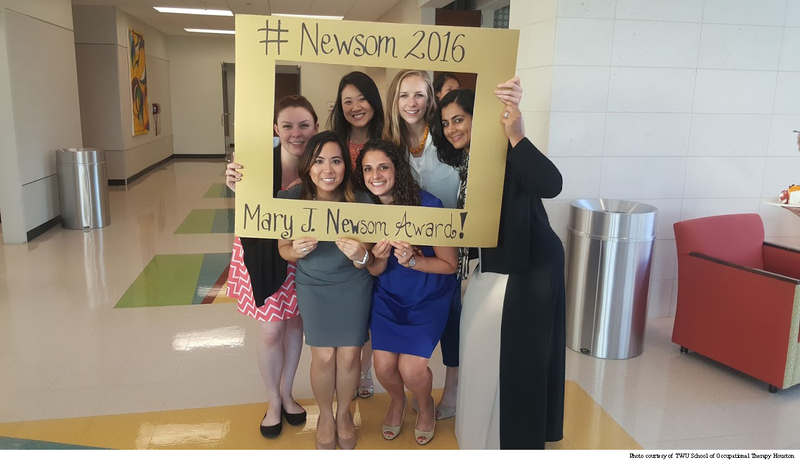 (from left to right) Annalisa Pablo, Colby Hutchinson, Salma Hooshmand, Rachel Campbell, Katherine Hahn, and Helen Wan. Masters of Ceremonies Brittney Burton (blond) and Seneca Wilson. 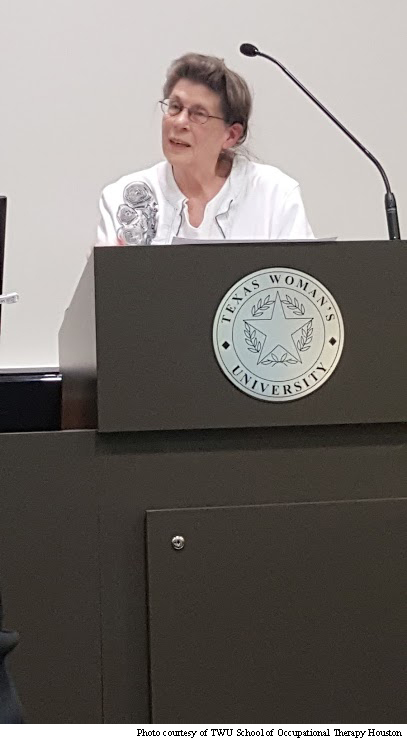 Faculty emeritus and founder of the Mary Joyce Newsom award, Harriet Davidson. 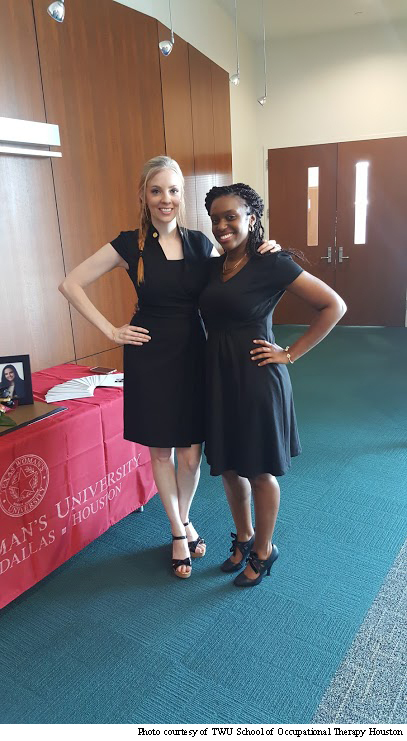 Adele Brunson 2015 recipient and Rachel Campbell (blue dress) 2016 recipient.